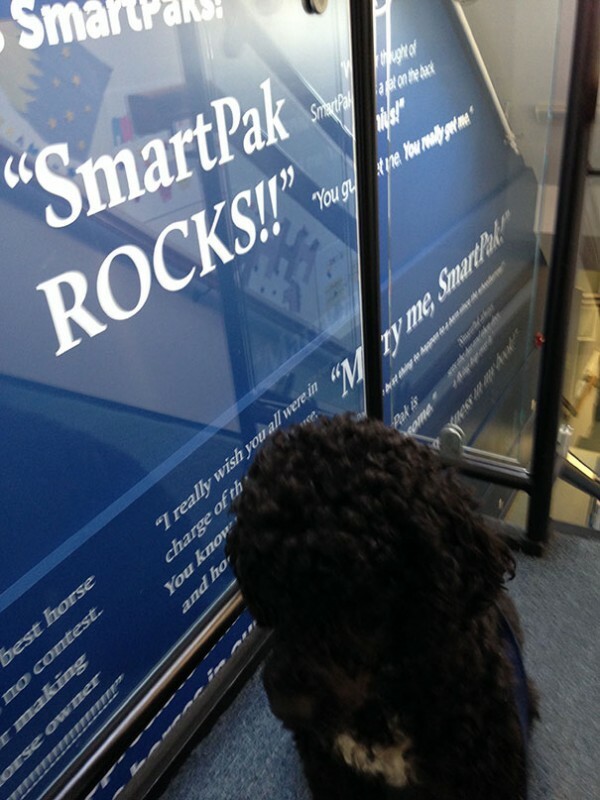 Hi, my name is Abby, and I am lucky to be one of the 50 dogs allowed to come into the office here at SmartPak. 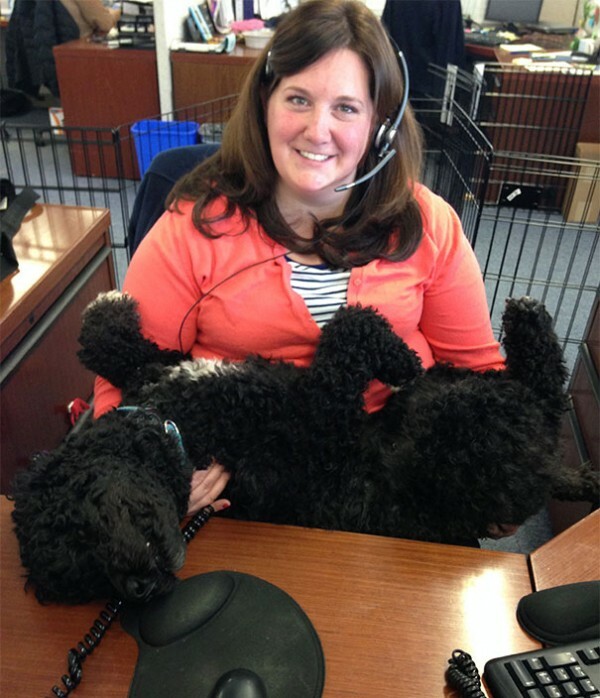 I come to work almost every day with my Mom, Whitney—she works on the Customer Care Team. My sister, Zoe, is allowed to come to work too, so we alternate days. I know you’re probably curious about what my days are like at SmartPak, so I’ll give you an inside look at how hard I work everyday. I start my day off with a 45-minute commute. It sounds dreadful, but I just catch up on sleep. It really is the perfect way to start the day! My favorite part is when Mom stops for coffee and the drive-thru gives me dog biscuits. 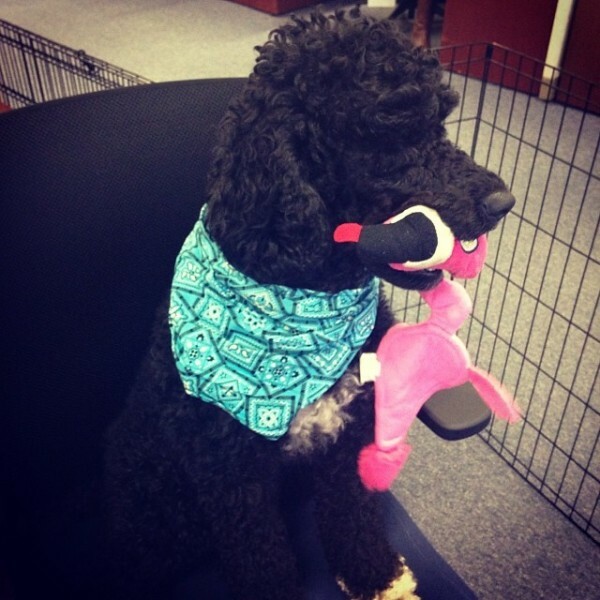 Once we get to work, I settle in for a long day of schmoozing my coworkers (both human and canine). We sit in one of the busiest aisles of Customer Care, so it’s the perfect opportunity for me to greet everyone as they come in for their shifts. Then as my Mom starts replying to emails, I hunker down and sleep more; I can often be found underneath her chair just waiting to get rolled over. Mid morning we usually take a quick break and walk outside just to stretch our legs and enjoy the sunshine. I usually find a buddy to go out with because it’s WAY more fun to sniff around with a friend than alone. 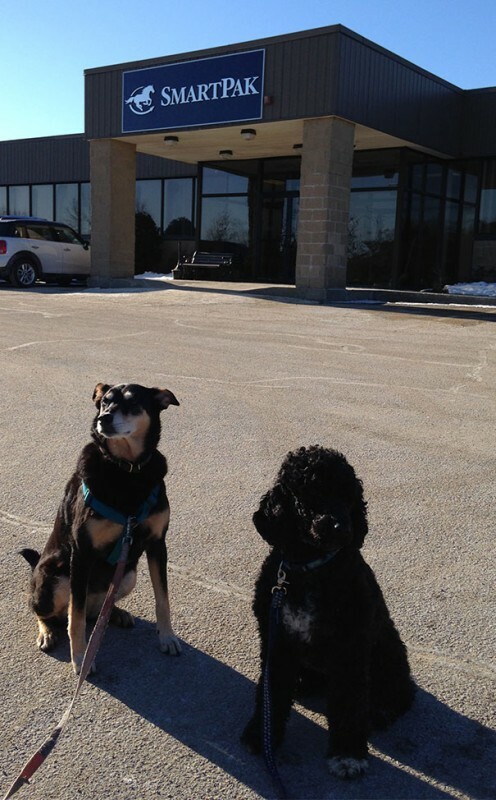 After that, it’s back to hanging out until lunchtime when we usually take a quick walk around the industrial park with my best friend, Piper! 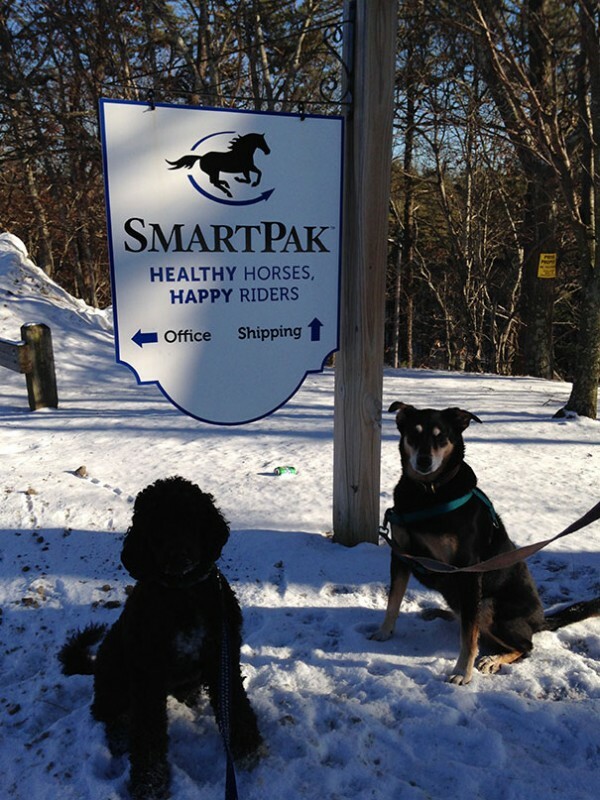 We have been walking buddies since I first started coming to SmartPak last year. After our 2-mile walk, I am back to being EXHAUSTED, so I usually snooze for a few hours. When my Mom leaves me for a meeting , I’m always very excited to see her when she comes back! I have been very naughty and escaped once or twice while she was away, so I now have heavy boxes to make sure my gate doesn’t go anywhere when I stand on it or nudge it. In my defense, when I did escape, I went right to the Human Resource Office (I thought that was very smart of me). After finishing up the day visiting with my two- and four-legged coworkers, I head back home to spend the evening with my Mom, Dad, and Sister Zoe. I am very grateful that SmartPak lets me come to work, so I always try to stay on my best behavior (as long as there are Bully Sticks in it for me). 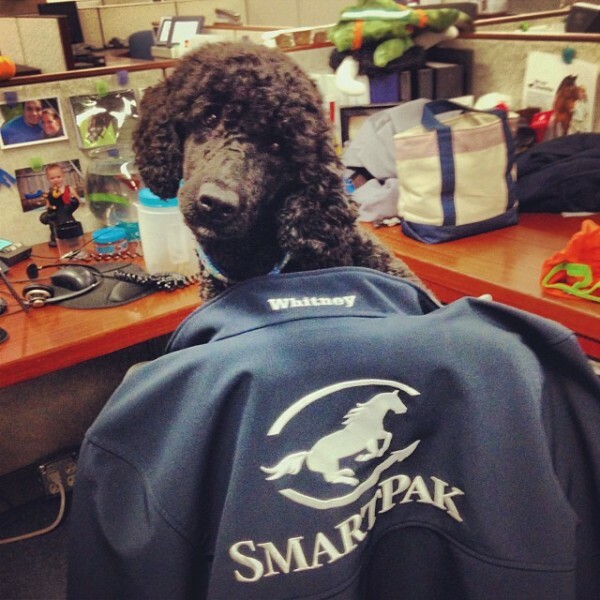 Just another great thing that SmartPak does for our critters! Rock on Abby. I really enjoyed reading about Abby’s day! I don’t have any dogs right now. We have about everything else including cats, cows and horses. Hopefully we can eventually fit the right one into our family at the right time. Thanks for sharing. Wish I could take my dog to work. That is a great employer will definetly buy more Products from them.